Growing up I was a huge fan of all things Halloween-related. My favorite month of the year was October. I just love the fall season. Everything from falling leaves to all the ghoulish sights around town and of course, the feeling of excitement as you count down to the night of nights… HALLOWEEN! 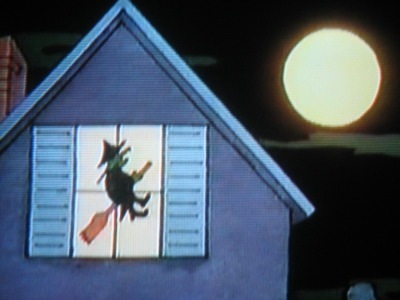 “8 more days to Halloween, Halloween, Halloween. 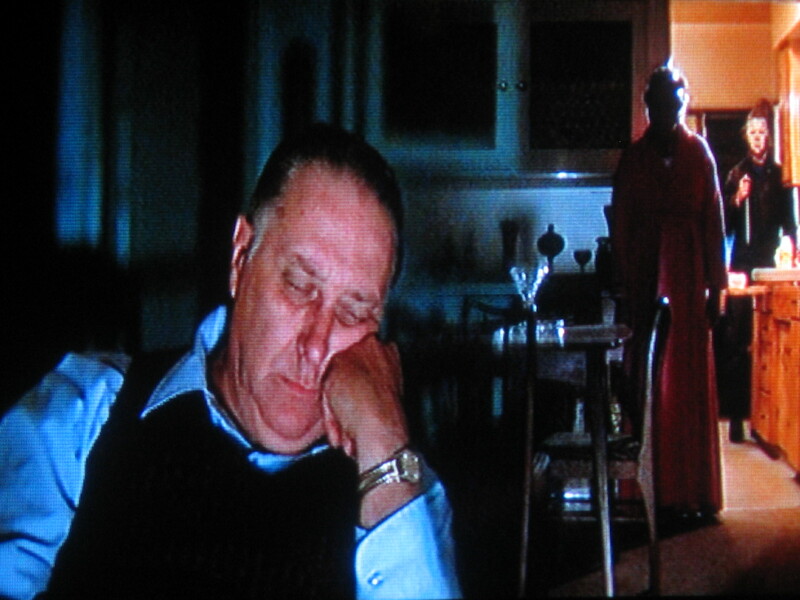 8 MORE DAYS TO HALLOWEEN — SILVER SHAMROCK!” Argh! GET IT OUT OF MY HEAD!!! Ahem, sorry. If there was one thing I loved just as much as Halloween back in the day, it was without a shadow of doubt the Super Nintendo. The SNES has been known as a “kiddie” system especially when compared to the Sega Genesis, which featured more darker, mature titles. 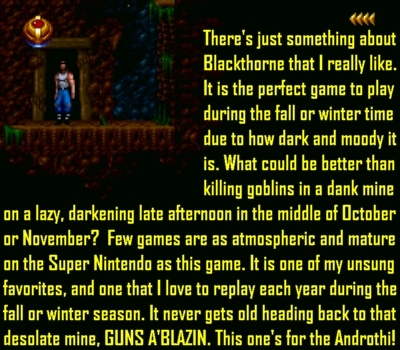 While it’s true that the SNES didn’t have as many as the Genesis had, that doesn’t mean it was completely devoid of “darker” games. Tonight, I’m proud to highlight 35 games that SNES fans can play this month of October in preparation for Halloween. Not all these games are great or even necessarily “mature” or “darker,” but they certainly fit the mood of the season in general. Some of these games are classic mainstays while there are a few you might have never heard of. 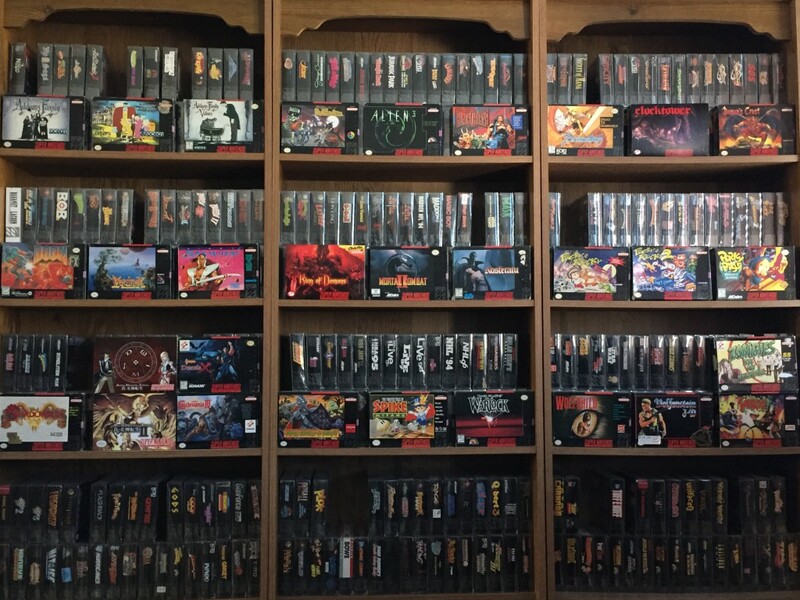 I hope this inspires you to dig up a few SNES games to play this Halloween season. There is something real special about gaming around this time of the year. The rainy days, shorter days and longer nights create an atmosphere conducive to staying in and snuggling up with old gaming favorites by the fire, or discovering some new ones for the first time! Perhaps this list will introduce you to a few new titles to throw into your Halloween rotation. Without further ado, let’s begin the countdown in alphabetical order. Here are 35 Super Nintendo games to play during the month of October! They’re creepy and they’re kooky. Mysterious and spooky. Ah, you know the rest. Released in March 1992 from Ocean, this was one of the earlier Super Mario World clones during the Super Nintendo’s infancy. It’s got quite a few fans. It’s obviously not nearly as polished and awesome as Super Mario World — I’m not a big fan of its somewhat slippery control or overly brutal difficulty, but it’s definitely not too shabby. It’s got a ton of secrets and you can tell the programmers had a blast making this one — hell, they said so themselves. Worth a look if you like your platformers difficult and somewhat quirky. The follow up to The Addams Family, Pugsley’s Scavenger Hunt also has its fair share of fans. It’s quite an upgrade visually, but I think I actually prefer the first game. The programmers were quoted once saying that they tried to recapture the “magic” of the first game but just couldn’t with this game. Nevertheless, it’s decent enough to kill a few hours with. And if you’re going to give this a try, might as well do it during October. The last in the SNES trilogy, Addams Family Values switches it up a bit by being an action RPG rather than a typical platformer. It sounds and looks enticing on paper, but unfortunately it’s something of a slight disappointment. I remember back in the day being super hyped for this. Uncle Fester in a Link to the Past clone? Sign me up! The main issue is the lack of a backup battery. Sure, it’s got a password system, but these passwords are scarce. On top of that, they’re awfully long and cumbersome. On the bright side, the game has a nice atmosphere for October, and the gameplay itself is generally fairly solid. 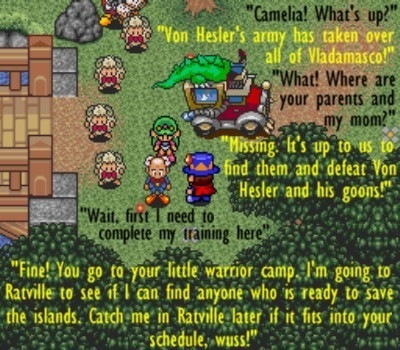 If there was ever a game meant for using save states, it’s this one. Still, it’s the best of the SNES Addams Family trilogy. Ah, the early-mid ’90s. I love that era of video gaming. It was a period in time that was ransack with Mario clones left and right. Some of these games were great, some were just OK and others were better left forgotten. The Adventures of Dr. Franken is one of those forgotten platformers lost in the “me too” SNES crowd of the early-mid ’90s. This is just what the doctor ordered, or not. I wanted to like it but ended up rather disappointed. It’s not unplayable, but it’s probably the weakest game on this list. It’s better than terrible crud like Bram Stoker’s Dracula, Mary Shelley’s Frankenstein and Musya, though. By the way, none of those games are on this list because they are truly terrifying (to play). All right, now we’re talking! Alien³ is a very solid movie-game adaptation. Just like the ALIEN films, Alien³ has a dark and foreboding feel to it. The aliens come at you fast and furious from all directions, making it a worthy candidate to play late at night with all the lights turned off. The difficulty is a bit steep, but that just makes the whole thing all the more tense. There is a password system and cheat codes to make life a bit easier, if you need it. Sure, it’s a bit repetitive but damn if it ain’t fun blasting an alien in the face with a flame thrower. The sequel is bigger as it now features outdoor playing areas, but it’s not necessarily better. 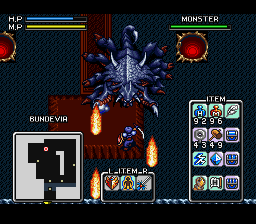 I prefer the original but I still enjoyed beating Brandish 2. It’s the first Japanese game on this list as it never left Japan. 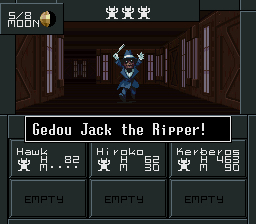 There is an English fan translation floating out there, and I recommend playing it if you really like the first one. It’s got better visuals and all, but is missing the “magic” of the first game. That’s not to say Brandish 2 isn’t any good. It’s very solid in its own right; it still features monsters and a seedy adventure that goes well with October’s rainy days. You cannot talk about Halloween SNES games without bringing up Clock Tower. Hands down the most frightening game on the system, this is where the epic Scissorman story began. Who would ever believe that a Super Nintendo title can make your heart skip a beat? But play this at 2 in the morning with all the lights turned off and it just might genuinely creep you out. 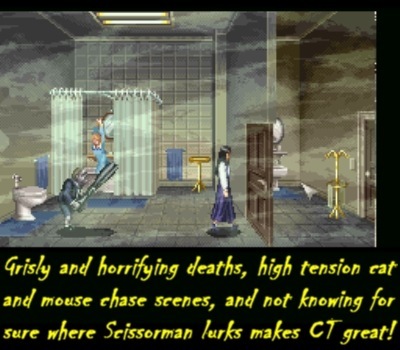 The game has an uneasy feel to it — Scissorman popping up randomly is the main reason why! Just an awesome survival horror game and a must play for the Halloween season. Pocky & Rocky fans rejoice. This game is ultra bizarre. I mean, where else can you kill Asian hopping vampires, astronauts on Mars, giant bamboo eating pandas, vile rotting zombies, aliens, ninjas, knights and Bruce Lee wannabes — all the while transforming into a large steroid-injected muscle maniac who oh yeah JUST happens to be the spirit of your deceased father?!? Intrigued? If you are not then you have no pulse! Love the subtle Halloween vibes it has, too. One of the most underrated SNES games around, once upon a time, anyhow. In the past 10 years, I’ve seen Demon’s Crest get the adulation it deserved back in the mid ’90s. 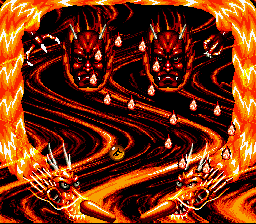 On top of excelling in all the basic video game categories, Demon’s Crest exudes atmosphere and coolness like very few other SNES games. 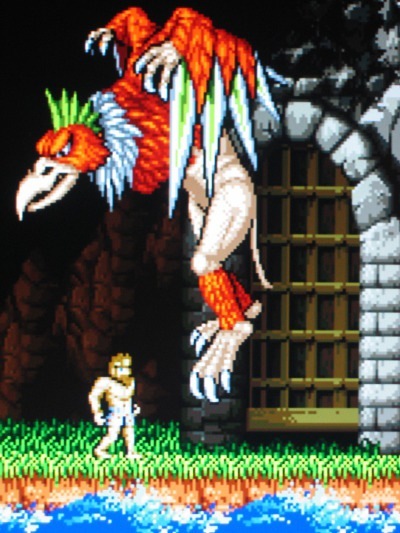 Playing as a winged demon that collects orbs, changes form accordingly and breathes fire is too damn badass, y’know? When Doom exploded on the scene back in 1993, it took the gaming nation by storm. 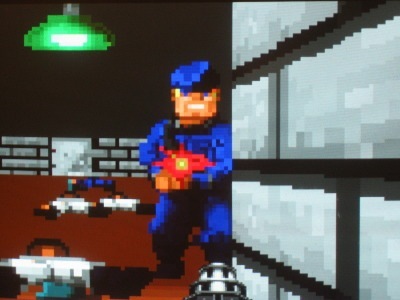 As great as Wolfenstein 3D was, Doom was that much better. Ask any gamer over the age of 30 or so and they’ll regale you with a Doom tale from their childhood. In 1995 Doom was ported to the Super Nintendo to mixed reviews. I didn’t like it back then because I couldn’t shake the fact that it was far inferior compared to the original PC game. 15 years later, 2010, I bought the game and came to appreciate the port for what it is. Naturally there were many sacrifices. 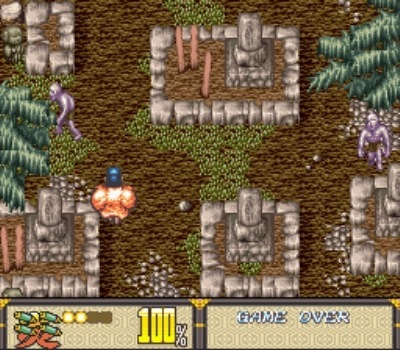 The game only features 22 maps and there is no save or password feature. Despite this, it’s still impressive what they were able to pull off considering the limitations of the hardware. On a side note, the Japanese Super Famicom version is superior due to the fact that it allows you to start off on any episode on any difficulty level. You can start on any episode in the US version, but the later episodes require you to play it at a higher difficulty level. This isometric action adventure is packed with epic music from Tim Follin and a haunting atmosphere that makes it an ideal Halloween selection. It is damn difficult, though, but well worth persevering through. It allows you to save the game at any point, which makes the rather high difficulty a little more bearable. Each level requires you to collect keys to open up the various locked gates. Grabbing these keys can be one hell of a challenge, and sometimes just finally grabbing one particularly elusive key is satisfying enough to call it a night. It’s one of those games that you can play and enjoy for 20 minutes or 2 hours. I wish there were more games like this on the SNES but at least we’ll always have Equinox. A highly difficult game that seems passable at first but is made somewhat worthy when playing with a friend (as one can block and one can attack). Not my first choice to play for Halloween, but you can’t deny Kitarou’s strong Halloween spirit. Check it out only if you can, but don’t go out of your way to. A surprisingly solid action game based off a manga. Too many times such efforts are hack jobs and cheap attempts to cash-in. Ghost Sweeper Mikami, on the other hand, is handled well. It won’t rock your world but it’s fairly fun and you gotta love its ghoulish look and spooky atmosphere. A great choice to play in October. LucasArts tried to reinvent the magic of Zombies Ate My Neighbors with this differently named “sequel.” Unfortunately, they didn’t succeed on that end. But, not all is lost. Ghoul Patrol has some decent things going for it. It’s just nowhere as good or fun as the original. However, this game is much more forgiving, allowing you to advance much further in the game even when you go at it alone. All in all, it’s not a shabby sequel but it’s missing considerably the fluidity and charm of Zombies Ate My Neighbors. 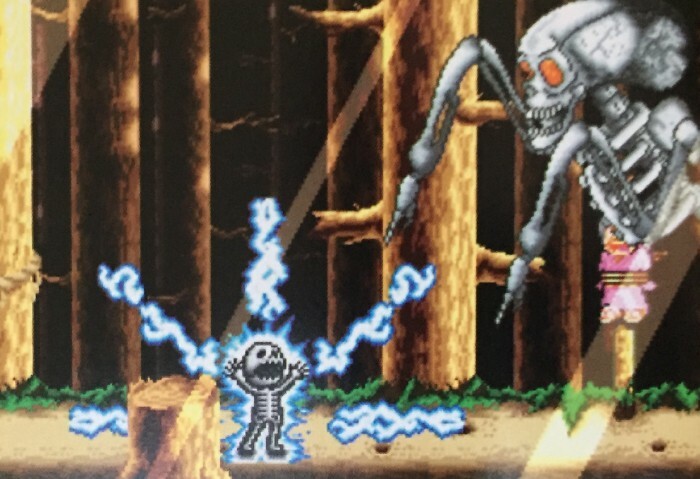 A Super Famicom pinball game that centers around demons, monsters and the occult. 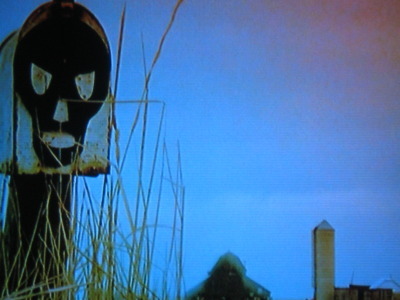 The last in the Crush trilogy (Alien Crush and Devil’s Crush), Jaki Crush is full of Halloween-esque sights. If you enjoy video game pinball then you’re sure to have a good time with this. This game goes hand-in-hand with Halloween. It’s not quite the epic action game I was hoping it might be, but it’s pretty solid and gives us Super Nintendo fanatics one more sinister game to enjoy. 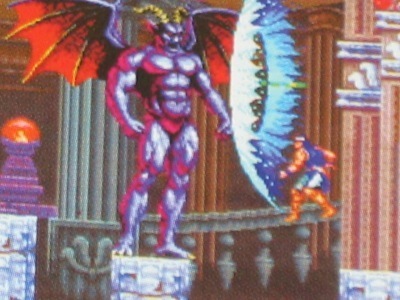 You can transform into various demon forms — giving it an Altered Beast feel. 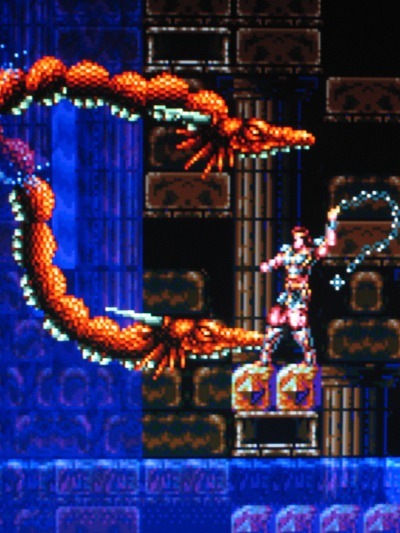 At first glance it appears to be a cross between Castlevania and Resident Evil. As long as you leave your lofty expectations at the door, Majyuuou (AKA King of Demons) is a ghoulishly fun time. I love the SNES port of Mortal Kombat II. My bro bought it when it came out back in September of 1994, so I have fond memories of playing it during Halloween season that same year. Characters like Baraka and stages like the haunted forest give it a lovely Halloween spirit. FINISH HIM!! Nosferatu is one of those games I studied and drooled over in gaming mags way back in the day… only to finally play some 15+ years later and find out that, sadly, it fell short of the gem my mind had built it up to be. Nevertheless, it’s not all bad. 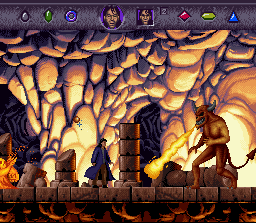 In fact, it’s decent (at least, for the first couple levels before the difficulty becomes far too daunting). It’s not the superb smooth playing Castlevania meets Prince of Persia mix I was hoping for, but you can’t win them all. Still, I love the macabre atmosphere and it’s fun to play the first two or three levels during Halloween time. A widely regarded Super Nintendo classic that’s worth playing any time but especially during Halloween time. Better yet, it’s even more fun with two skilled players at the helm. Yeah it’s not the first SNES game you associate Halloween with, but it’s got that nice subtle ghoulish touch to it. Be forewarned though, it’s not as easy as it looks. It’s actually quite difficult and requires much practice to excel at. But damn if it isn’t fun. 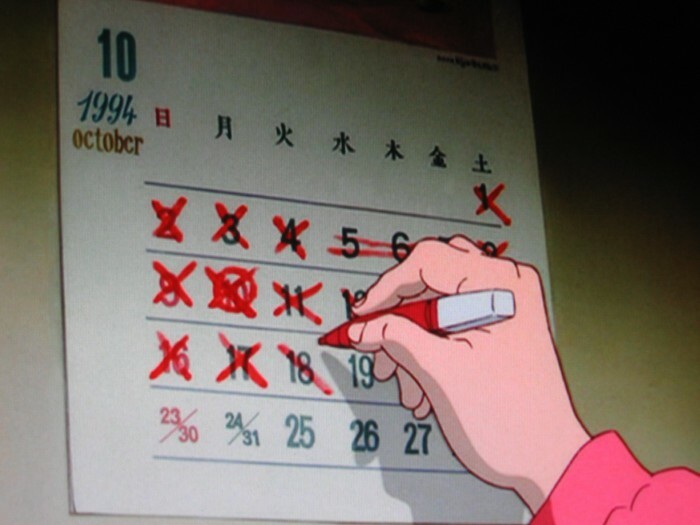 Natsume released a sequel the following year (1994) to solid reviews. There are some nice new features that makes this a worthy follow up to the classic original. These new features include multiple paths within the levels and partners. When you talk about great 2-player co-op SNES games, you gotta talk about the Pocky & Rocky series. They’re great fun to play whenever, but especially during October. Not great by any stretch of the imagination, but it’s a decent little platformer that came out late in the SNES’ lifespan. Therefore, it was overlooked even more. 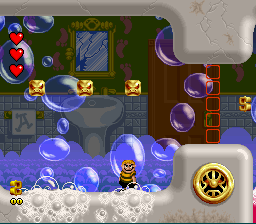 It’s no Super Mario World, but I do enjoy its wacky levels and it’s an underrated Halloween choice. An interesting aspect of the game is that the weather changes every time you turn it on, and often weather will vary during the game itself. From one level to the next, it may be raining, snowing, or sunny, and may have summer, autumn, or winter color schemest. Overall, you could do far worse than Porky Pig’s Haunted Holiday. Gritty, grimy and great for October. 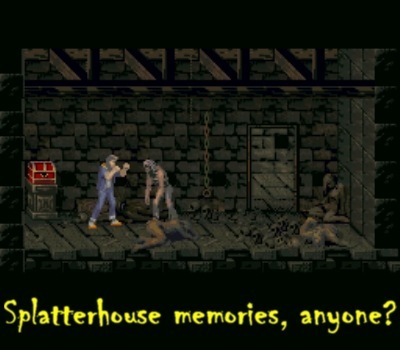 For goodness sake, you start the game out by waking up on a slab in a morgue… suffering from amnesia. Talk about morbid and sordid. The control takes some getting used to, but the game’s cyberpunk feel is what makes it special. Shadowrun is a very unique game and something I wish the SNES saw more of. I have very fond memories of playing it on a rainy Halloween night of 2014. The game’s gritty “shady city” atmosphere fits in perfectly with the mood of Halloween. Shin Megami Tensei isn’t for everyone — it’s a rather plodding first person RPG from the early days of 1992. But its sordid universe suits the Halloween season very well. You can recruit enemies to be your allies, and you can either side with the angels, the demons or go neutral. If you can withstand the somewhat slow nature of the game, it’s a rather fascinating and morbid trip through a hellish Tokyo. Note: it can be downright brutally difficult at times. You could be walking along destroying enemies easily but just as easily get in a battle with a monster that wipes out your party in no time flat. Be sure to save often! More of the same, but now faster and more accessible. If you enjoyed the first game then you’re sure to like this one, too. Naturally, the monsters, demons and devils make both Shin Megami Tensei games ideal to play during the month of October. 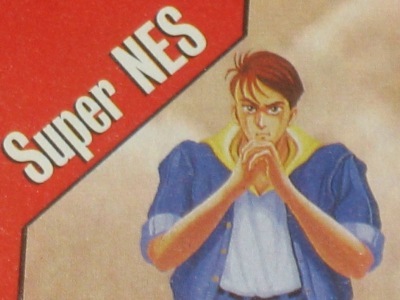 They do require a bit of patience and perseverance, but the payoff is substantial — very few SNES games are as thought-provoking and politically incorrect. This is the first title that jumps to mind right away when I think of SNES Halloween games. And why not, seeing as it has practically every creature of the night represented on its monster roll call. Featuring a stunning soundtrack, great graphics (for its time specifically) and satisfying gameplay mechanics, it’s a bloody sin not to, at the very least, pop this game in for a quick go every October. 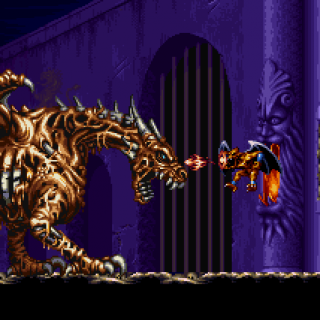 Turn off the lights, grab that ancient magical Belmont whip and hack away at mummies, frankensteins, and oh yeah, Dracula himself, as you try to eviscerate the Prince of Darkness and his minions one more time. It doesn’t get any better than that, folks. An essential Super Nintendo classic that is perfect for Halloween. Long before Resident Evil and even Sweet Home, this was Capcom’s first original “horror” franchise. And a mighty fine one it is, too. 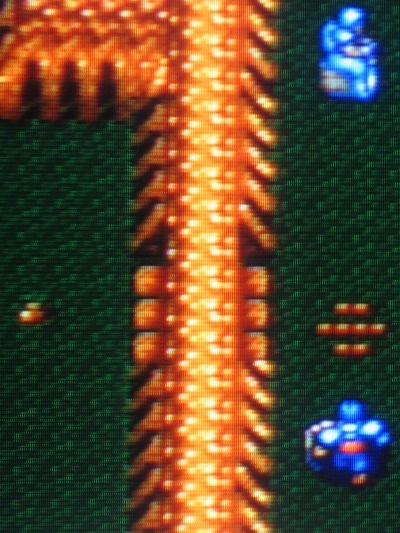 Super Ghouls ‘n Ghosts sports a high difficulty (but somewhat overrated in my humble opinion, at least, on easy mode). Featuring stunning graphics (mind, for 1991 standards) and sound, this game always delights and is a reminder of the Super Nintendo’s early GLORY days. You absolutely can’t go wrong giving this some October play time. The Twisted Tales of Spike McFang is a super short yet sweet game that you ought to play if you haven’t already. It’s so criminally short that it can be beaten in a measly 3 to 4 hours. Players control Spike McFang, a young vampire warrior in the making. A very good game that scores high on the fun and quirky scale. Warlock has a nice creepy, ominous atmosphere going for it. It’s not the greatest game around, but it’s got its moments. There are various spells at your disposal and there is some strategy and sorcery at play here. Not your typical hop ‘n bop platformer, which I appreciate. Give it a try. A low key under the radar choice. 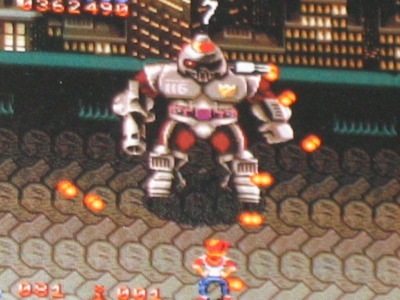 You transform into a wolf and shoot down bad guys like empty tin cans sitting on a fence. 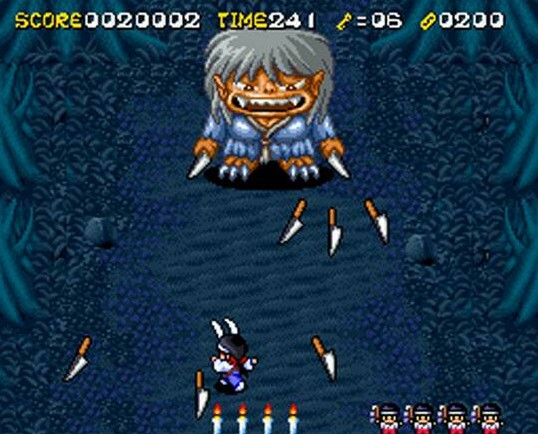 Wolfchild is a bit reminiscent of Werewolf (NES) and perhaps even Altered Beast (Genesis). Decent fun to be had and worth playing through at least once for the diehard SNES fanatic. A forgotten game that was lost in the me-too SNES crowd of early-mid 1990s, but not forgotten to RVGFanatic! What a perfect game to end this list. 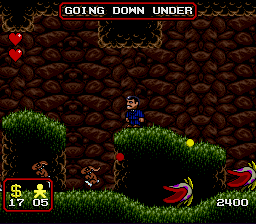 It’s impossible to talk about Halloween SNES games and not think of Zombies Ate My Neighbors almost immediately. When this game dropped on our laps back in late 1993, man, none of us knew what a cult classic it would become. It goes along perfectly with all the horror movies you’ll watch throughout October as many of its enemies are knock-offs of various horror movie villains. Whether it’s the evil doll Chucky, the lumbering brute Jason or cheerleader snatching aliens, it’s a veritable who’s who of horror movie icon lore. Zombies Ate My Neighbors shines best when playing with a buddy. It’s couch co-op gaming at its finest. It may feel cheap at times, but with a skilled friend in tow it’s still one zombie blasting good time. Perfect, indeed, for the Halloween season.